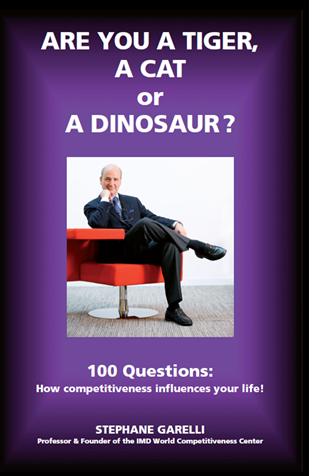 New: "Are you a Tiger, a Cat or a Dinosaur?" Competitiveness is the most used and abused term in modern economics. Three decades ago it was unheard-of; today a Google search produces more than 35 million matches. Competitiveness has taken the world by storm with frequent name-checks from politicians, business leaders, journalists and academics alike. But is competitiveness a fad or for real? And, incidentally, what is it exactly? Competitiveness, as defined in this book, is the ability of a nation, company or individual to manage a totality of competences to attain prosperity. Success today depends on more than managing a few well-established core competencies. Along with traditional policies, a nation must also tackle education and security to sustain economic development. A company must manage ‘soft’ issues such as brands and perceptions to beat the competition. And individuals must reinvent themselves and expand their skills to survive. These fields of economic research did not exist a few decades ago. Today, competitiveness makes the link. 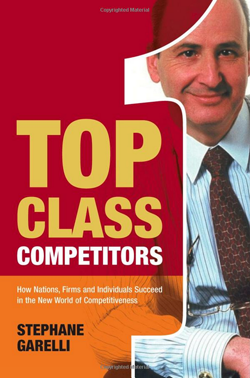 TopClass Competitors is a journey through the brave new world of competitiveness. What are its historical origins? How does it impact the management of a nation? How do companies thrive on it in an international environment? What is the impact on work structures and value systems? Above all, is there a competitiveness mindset? Exploring how the concept works and how its issues are intertwined, Stéphane Garelli shows why competitiveness is the most powerful tool available to unleash new levels of prosperity for nations, profit for companies and success for people. Global competition has significantly changed most industries. Stephane Garelli, with his IMD World Competitiveness Yearbook background, brings interesting, eye-opening insights to this key topic. Every global leader will find this work not just important, but a necessity. Warren Bennis, Distinguished Professor of Management,University of Southern California, and author of On Becoming a Leader. The "world" has never been as competitive as today. Thanks to technological advances, the playing field has grown considerably wider. New and hungry entrants are claiming a share of the business. Established companies, as well as states and individuals, need to develop a new frame of mind and find new ways to enhance their competitiveness if they are to survive. The merit of Stephane Garelli’s book is to remind all of us that, unless one can make it and stay in the Top Class, the years ahead may become quite painful. Daniel Borel, Co-founder, Chairman of the Board, Logitech S.A.
Today, competitiveness is on the top on our agenda at Nestlé. Stéphane Garelli is one of the most stimulating thinkers that I have met on the subject and his research, writings and teaching have had a major impact on the way we approach this fundamental challenge at Nestlé. Peter Brabeck-Letmathe, Chairman of the Board and Chief Executive Officer, Nestlé S.A. In a world, which is becoming increasingly globalized, Dubai is constantly reinventing itself in order to sustain its competitive advantage over other cities. Stephane Garelli's work has had a strong influence on our strategies by allowing us to focus on non-traditional means of building competitiveness. Ahmad bin Byat, Director General of the Dubai Technology, Electronic and Media Free Zone, former Chief Executive Officer of Dubai Internet City. A typically insightful exposition of the what, the why and the how of competitiveness, surely the key to success for companies and societies ! Moving into highly "consumer" driven markets, we at HP had learned that inventing and building the best products imaginable, regardless of price and availability, no longer guarantied competitiveness. Stephane Garelli’s work helped us to better understand the new criteria of success and to put in place the mindset and the organizational structure to create "Total Customer Satisfaction". Franz Nawratil, former Chairman of the Board and Chief Executive Officer, Hewlett Packard Europe. As China becomes a new member of WTO, Chinese companies emerge into the international arena of competition. Competitiveness becomes the key issue for their existence and development. Top Class Competitors will be a top concern and a shining example not only for China, but also for nations, companies and individuals both in developed and developing countries as well. "ARE YOU A TIGER, A CAT OR A DINOSAUR?"